This is one of the most beautiful "Small cities with character" of Brittany. 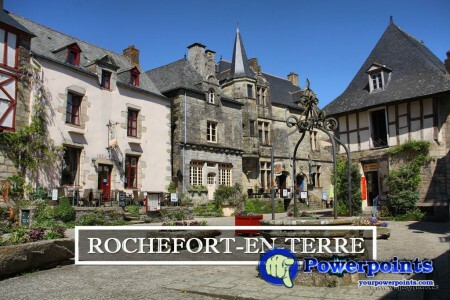 Rochefort invites you to take a journey through time with its walls, the castle and its old houses. The city is adorned with flowers and throughout the year it is happy with its beautiful shops, galleries and artists' workshops. Very beautiful pps and very melodious song.